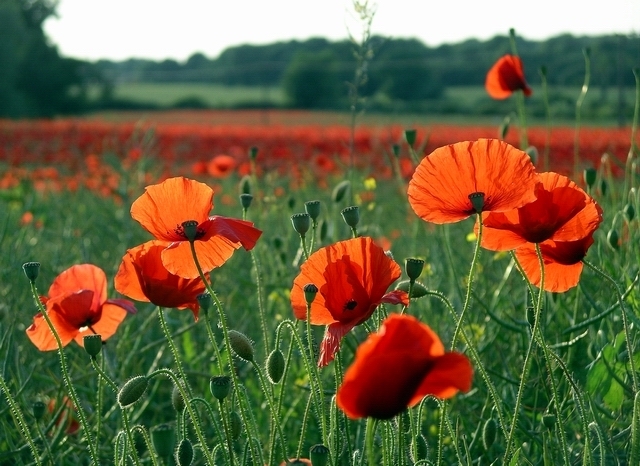 Poppies and Ice-cream: Mara Hoffman and cultural appropriation. 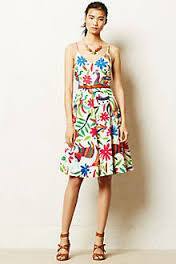 "Many motifs common to tenangos are believed to be inspired by the ancient wall paintings found in nearby caves. 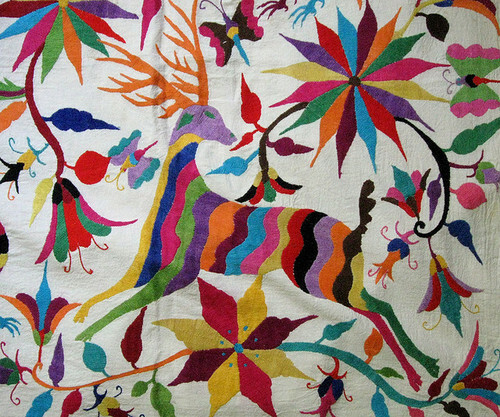 There are also similarities between tenango embroidered patterns—such as the depiction of plants, animals and natural forces—and the designs found in the cut-bark paper craft known as amate, practiced by Otomí shamans for thousands of years." "Tenangos evoke a spirit of magical realism, merging the real and the mythical. They provide a link to their storied past and a gateway to the future, providing a sense of cultural identity and a means of trading on the international stage. 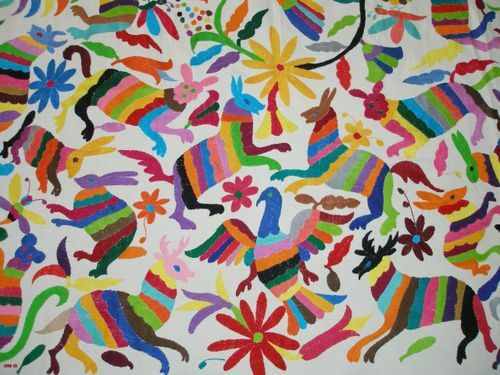 Like the collective memory of the Otomí, tenangos, in fiber and filament, preserve and perpetuate the history of the region and the traditions of the Otomí people." "cultural appropriation is the adoption of some specific elements of one culture by a different cultural group. It describes acculturation or assimilation, but can imply a negative view towards acculturation from a minority culture by a dominant culture.It can include the introduction of forms of dress or personal adornment, music and art, religion, language, or social behavior. These elements, once removed from their indigenous cultural contexts, can take on meanings that are significantly divergent from, or merely less nuanced than, those they originally held." 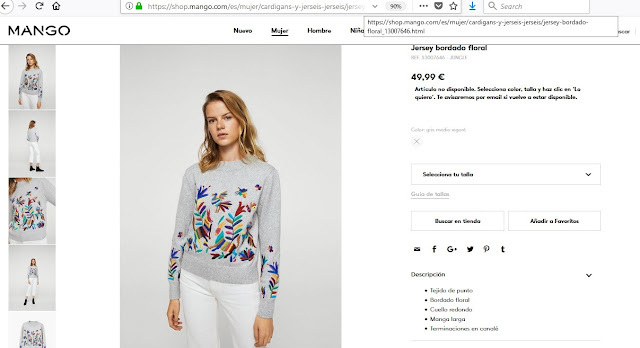 I can only hope that the designer will try and mend this, by giving proper credit and perhaps, more importantly, by contributing to the communities from which she stole took her ideas. Post edit This same plagiarism was done by Anthropologie, with their Vanessa Virginia Folk Art Dress (that was soon removed from retail). 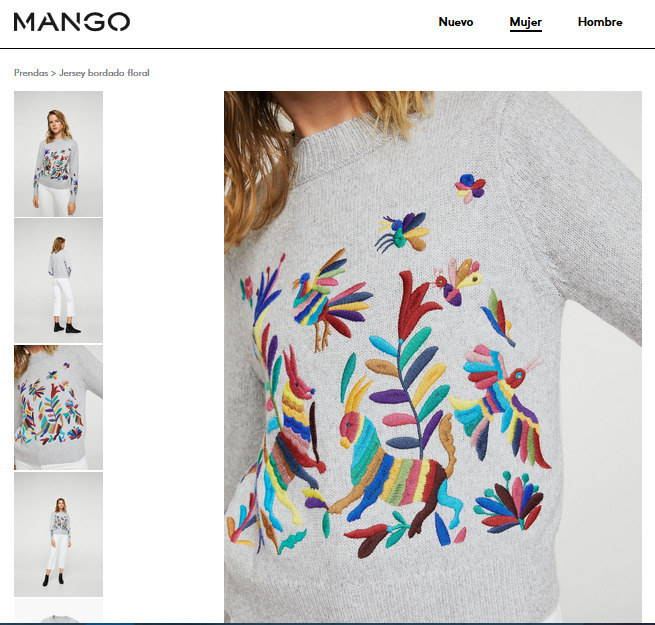 Most recently, the Spanish brand Mango also stole took these patterns for a pullover that they simply called "Jersey bordado floral" (no longer available, either). ¡Acabo de enojarme mucho con lo que cuentas en post! Es el colmo... a parte de triste. Si ya se... yo es que no lo puedo creer. Que fuerte ! Qué verguenza! Lo minimo que tendria que hacer es dedicar un porcentaje a ayudar a las comunidades, una verdadera verguenza. Yo lo ví mucho con los diseños africanos de los diseñadores parisinos y da mucha, mucha bronca. Si, es lo que pienso, deberia aportar algo a la comunidad, poner escuelas, ayudar a que las artesanas sean independientes, hay muchas maneras, y si que da rabia. vine acá a quejarme de lo mismo!! Amanda, hiciste bien en noticiar esto. El arte otomí me parece precioso y cualquier promoción, homenaje o referencia al mismo siempre se agradecerá. Apropiarse de algo así no puede ni debe pasar desapercibido. Saludos, Carlos. Gracias a ti Amanda, por tu respuesta y por tu visita al áisberg. También respondí a tu mensaje. Me gustó mucho El guardagujas. Saludos. Thanks for writing this - it's a super important topic and it's important to educate people about these prints, where they come from (originally), etc. There was just a similar situation with Anthropologie using the print on one of their dresses and calling it 'Folk Art Dress". 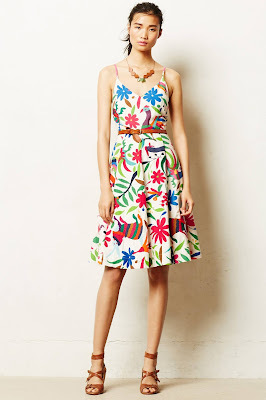 There was a bit of outrage from the community here in Mexico that works with artisans and after various comments through Facebook and e-mail, Anthropologie finally removed the dress for sale from their site. 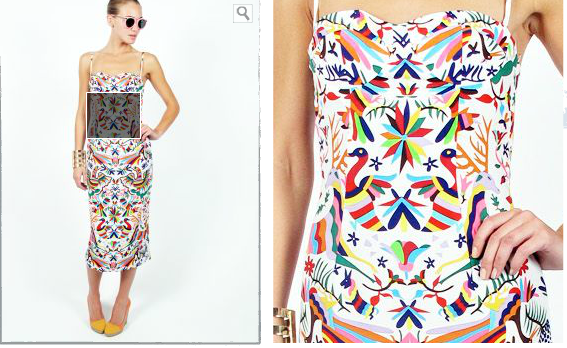 You can see it on the Facebook comments on Anthropologie's site. Thanks again for bringing this up. 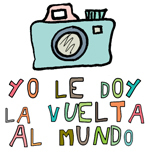 Muchos saludos from Chiapas. Thank you for this eloquent and honest piece. I've been waiting to read something like this on Mara Hoffman for quite a while.